HM Manufacturing is a leading producer of simple and complex planetary gear systems. At HM, we work with all three planetary gear structures; meshed-planet, stepped-planet and multi-stage. 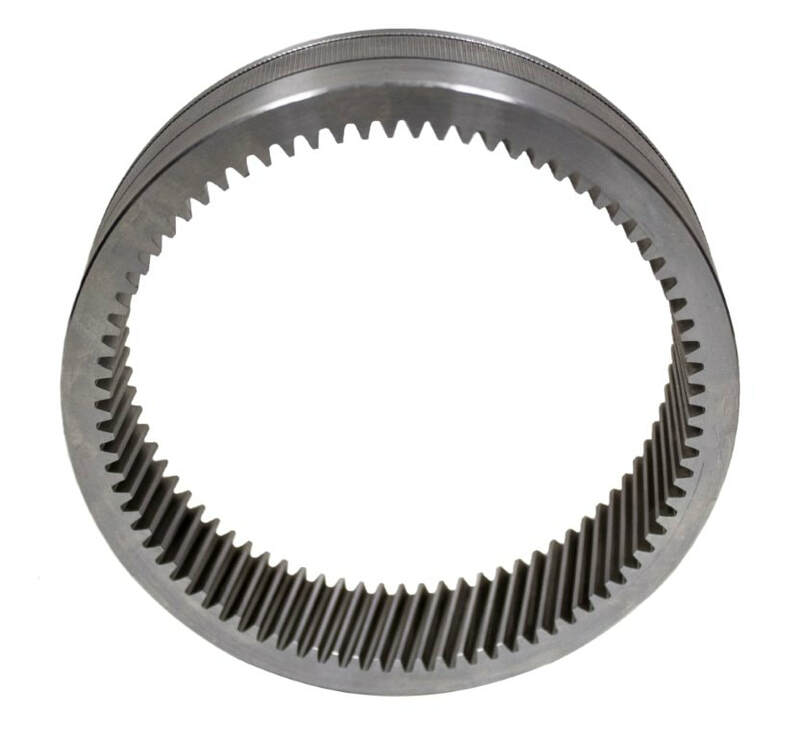 Custom helical internal rings can be included in any of our planetary gear systems. Planetary gearheads are high precision, tight tolerance, motion control devices that generate substantial torque for their size, while maintaining low backlash — making them suited for wide ranging tasks. ​Planetary gearboxes operate smoothly and powerfully for servo system applications in which accurate and repeatable motion is essential. 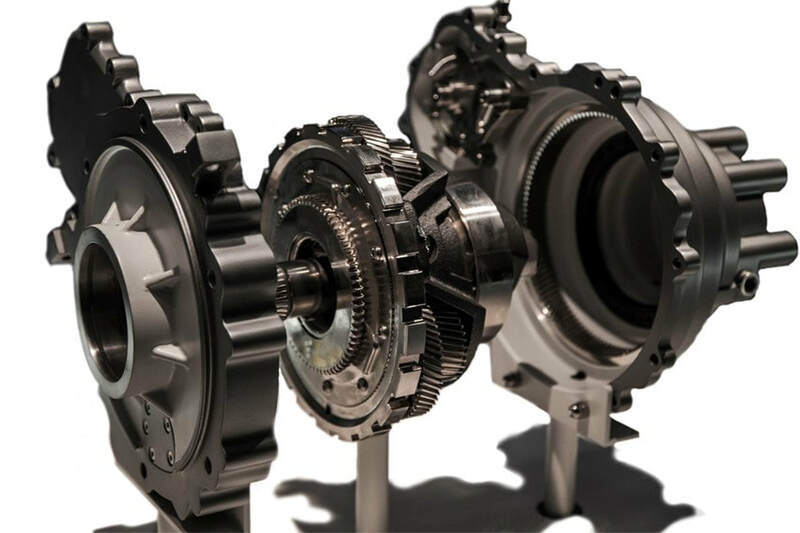 ​With its inherent in-line shafting and cylindrical casing, planetary gearing is often recognized as the compact alternative to standard pinion and gear reducers. With our in-house gear shaping, milling, hobbing, turning and grinding machines, HM produces the highest quality custom planetary gears, suitable for your specific project.​ Let HM manufacture assemble and deliver complete planetary gear systems for your blanket order needs. Simple planetary gears have one sun, one ring, one carrier and one planet set. In a simple planetary setup, input power turns the sun gear at high speed. As the planet carrier turns, it delivers low-speed, high-torque output. Compound planetary gear systems or trains have at least two planet gears attached in line to the same shaft, rotating and orbiting at the same speed while meshing with different gears. Compounded planets can have varied tooth numbers, as can the gears they mesh with. The wide variety allows for many mechanical possibilities and more reduction per stage. With compound planetary systems, the planets can mesh with or revolve around both fixed and rotating external gears simultaneously. ​Meshed planetary gear system contains at least two or more planet gears that mesh with each other and work together in the planet train. Stepped planetary gear system has a shaft connection between two planets in each planet train. A multi stage planetary gear system has two or more planet sets to create one large compounded system. Helical internal rings are used in the planetary system as the main component holding the system with the other planet gears together. Helical gears can be used for heavy load capacity due to the comparable gear sizes and numbers of planets. Since helical gears are angled, not straight toothed, even more teeth mesh at once. The helix shape included in system allows for higher torque-to-weight ratio, larger reduction ratio, and more flexible configurations. 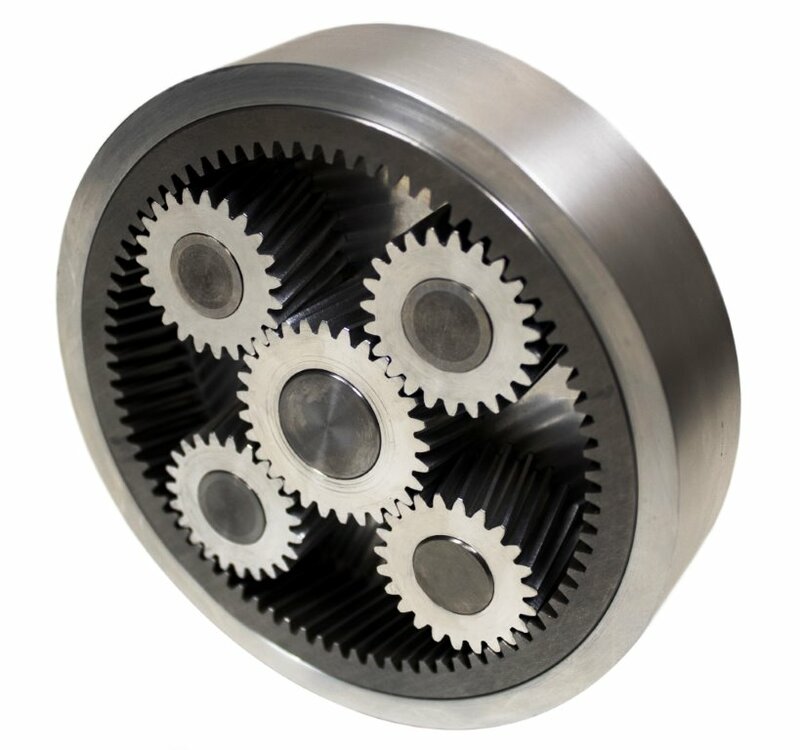 Blanket custom planetary gears purchase orders eliminate lead times. A single planetary gear purchase order is far economical than many purchase orders.